From Brookfield’s Lenses to four Biotechnology Lenses – learning how to think innovatively? I am the module leader of a third year biotechnology module, in which we cover topics from bioremediation to genome editing and synthetic biology. Biotechnology advances rely on innovative thinking, and being able to make new and unexpected connections between topics and concepts. The less obvious those connections are, the more interesting the ideas (potentially) become. How do you teach students to connect concepts? Diagram showing the ‘building blocks’ of biotechnology. 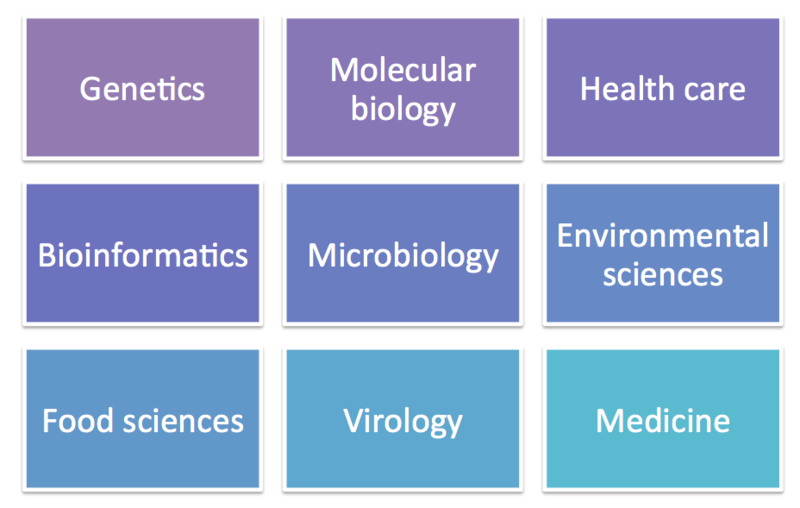 Last year I tried to visualise biotechnology as a discipline made of biology ‘building blocks’. I started by drawing the building blocks on the whiteboard: molecular biology, genetics, microbiology, biochemistry… you get the picture. I added other building blocks like ‘business’ or ‘health care’. Then I asked my students to come up with biotechnology product ideas by combining two or more building blocks. For example, microbiology + molecular biology + health care = recombinant bacteria producing therapeutic proteins, or new biosensors to detect diseases. Marine biology + microbiology + pharmacology = screening marine organisms for new antibiotics. I used the same building block method this year. I realised however that this was a limiting approach, as it kept idea generation on a broader level. How could I help a student writing the discussion of a scientific report or essay to come up with original and novel directions in their thinking? All new lecturers at Oxford Brookes University are required to complete a Postgraduate Certificate for Teaching in Higher Education (PCTHE) as part of their probation period. Right at the start we learnt about the existence of formal frameworks for professional reflection. This was a huge revelation for me. Reflection is something that’s hugely important for our personal and professional development. Yet, it rarely is taught ‘properly’ in biology (at least in my experience). Being able to guide my thoughts along a framework or reflective ‘cycle’ made the task so much easier. Something that always had been a bit wishy-washy suddenly became tangible. One of those frameworks is ‘Brookfield’s Lenses‘. It structures the thought process by asking us to analyse a situation from four different perspectives. As Stephen Brookfield designed his lenses for reflection in education, they include the perspectives of ourselves, our students, our colleagues, and the literature. I wondered if I could transfer his model into biotechnology teaching. 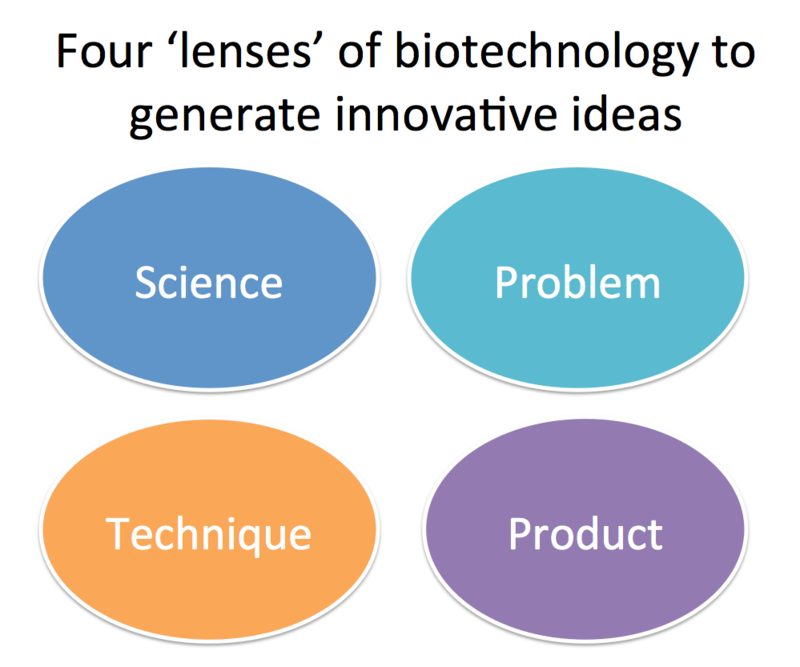 The four biotechnology lenses that I developed each look at a different component of a biotechnology idea. They can be used as part of an iterative process, and are probably best explained through an example: insulin. A series of scientific discoveries (nicely summarised here) led to the discovery and isolation of insulin by Frederick Banting and Charles H. Best in 1921. Simplified, the science behind insulin was the discovery that pancreatic cells produce insulin, and that insulin isolated from the pancreas of cattle in slaughterhouses could be used to treat human patients. Eli Lilly and Company took on the mass production of insulin (product) by extracting it from pig and cow pancreases from slaughterhouses (technique). The immediate problem of this is scaleability; “according to the magazine Diabetes Forecast, it took nearly two tons of pig parts to produce 8 ounces of purified insulin“. This problem was solved with advances in our understanding of DNA and proteins (science), the development of genetic engineering, and the ability to transfer the human insulin gene into a bacterial host for mass production in fermenters (technique). Since then, modifications in the amino acid sequence of insulin (technique) have created a range of slow- and fast-acting insulin types (product) to help patients manage their blood sugar levels better (science/problem). So, what are the problems and potential future directions of insulin treatment? Finding alternatives to injections by building new devices, inhalers or even artificial or bionic pancreases? Gene therapy to deliver functional insulin gene copies into cells? I will stop here, as I am no expert in this area. But hopefully the example will have illustrated how the biotechnology lenses could be used to dissect an existing idea, and explore new avenues for future scientific developments. After explaining the lenses and the insulin example, I asked my students to discuss in groups how the lenses could be applied to genetically modified moths, and non-browning apples. I was very happy with the outcomes of with, as they very critically analysed the products and the problems that came with them (some of the associated problems seemed bigger than the solution that the product promised to solve). In general I feel that this could work well as a tool. The main challenge for me is to try and embed this structured approach into my lectures, to remind the students that this tool exists, and to practise its use. What do you think? Does this make sense to you? Can you think of other good examples where the tool gives useful results? Let me know in the comments!